Sometimes you don't want to ignore an elephant in the room. I love to incorporate an elephant motif into my every day life, décor, and style. 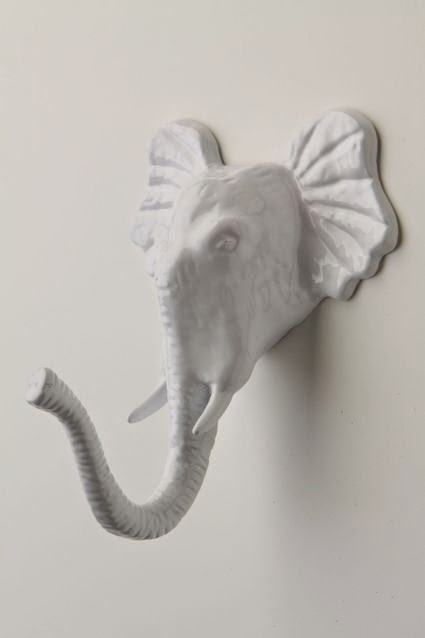 This adorable Encased Elephant Hook keeps your coats, hats, or robe hung in style. I'm thinking that I might want to paint this hot pink to match the girls' bathroom. Their robes will look perfect on this hook. 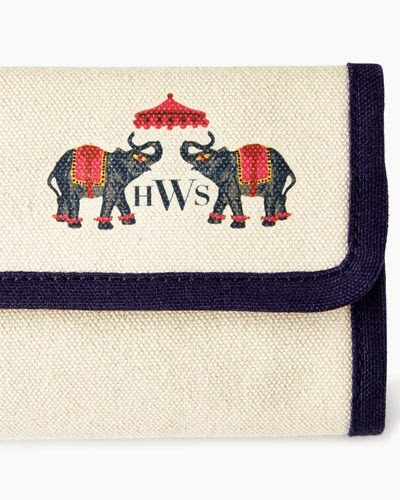 Trunks up for this elegant Monogrammed Elephant Jewelry Roll. Whatever destinations are on your travel agenda, you'll need to keep your jewelry safely organized. This spring, I want to host a tea party for some friends. I think that it will be a great way to welcome warmer weather. 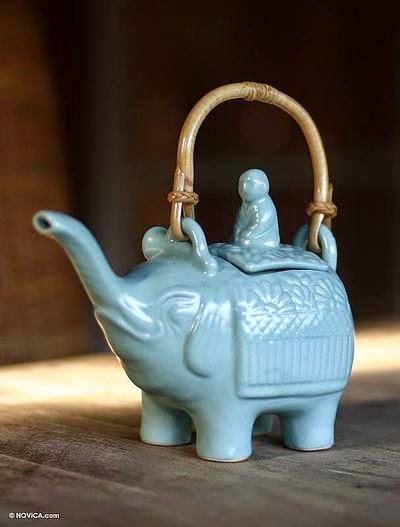 Won't this Blue Ceramic Elephant Teapot be a perfect addition to the spring celebration? Pink and orange is a lovely combination. 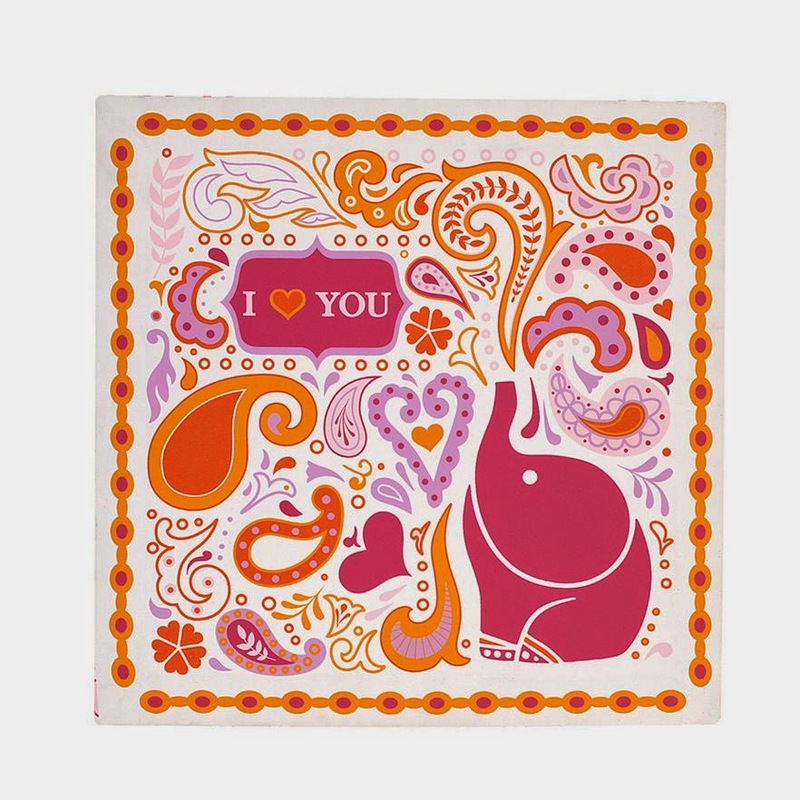 I love this Jonathan Adler Elephant Wall Print for a girl's room, play room, or any room with casual, fun décor. For me, the elephant in the room is winter. Winter is very difficult for me. I woke up this morning to learn that schools were closed (again!) because of the snow and ice. We were fortunate to have been spared a huge blizzard like other states and I am grateful for that. However, sometimes I feel like a hibernating bear because all I want to do in the winter is stay at home and make things in the crock pot. Today's crock pot menu will be chicken. I'm off to put some ingredients together now. Stay warm and have a great day! There is a little candy shop up the road from us. It is unique. It has made it into the oddities of PA but it IS something you and the kids should check out if you are driving through (west of Gettysburg). It is called Mr. Ed'd and it is all about elephants and candy and again it is unique. Worth the trip. I've heard of that place but have never been there. We'll have to plan a visit. Thanks for the suggestion.